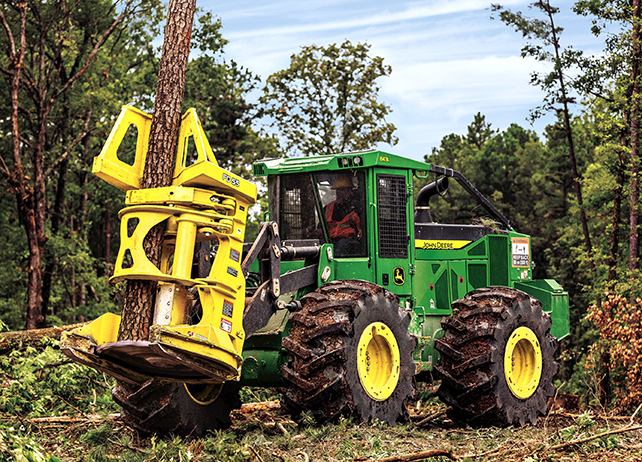 For this reason, we’ve put together a step-by-step guide on getting started with John Deere TimberNavi. Enjoy! Durable monitor to ensure reliability and reduced downtime, even in tough working conditions. TimberNavi is currently available for L-Series Skidders, M-Series Skidders, Wheeled Feller Bunchers, and Tracked Feller Bunchers. The technology can quickly and easily be installed at the factory or added to an existing L-Series or M-Series machine. For more information, be sure to contact your local John Deere dealer.